Our client has developed innovative solutions in banking and mobile commerce. It’s an extensive and sophisticated platform, which will allow users to shop online, pay their bills, make transactions and peer to peer transfers. The app also provides users with a multitude of loyalty programs and discounts. The client wished to expand their business into the Polish mobile banking sector, which is growing and becoming more and more attractive. 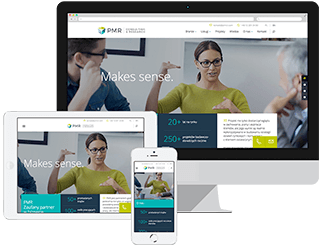 To be able to enter the local marked, the client asked PMR to conduct a market analysis so that the company can tailor their marketing strategy and business operations to the needs of the local market. PMR applied a comprehensive approach. During the first stage of our research, we conducted a benchmarking analysis and created a map with major players in Poland (banks and financial institutions). During the following stages, we carried out further analysis and segmentation of those institutions, taking into account size and structure. We also closely analyzed the needs of each of the groups we identified. Lastly, we delivered a report which included detailed descriptions of each segment and suggestions for potential actions that the client can take in order to achieve success in this new market. As a result of the project, the client was able to diagnose the competitive advantages, and to determine the likelihood of success in the new market. Given the fact that the competitors are strong, the client revised their marketing strategy, so that it would meet the needs and expectations of potential customers in Poland.